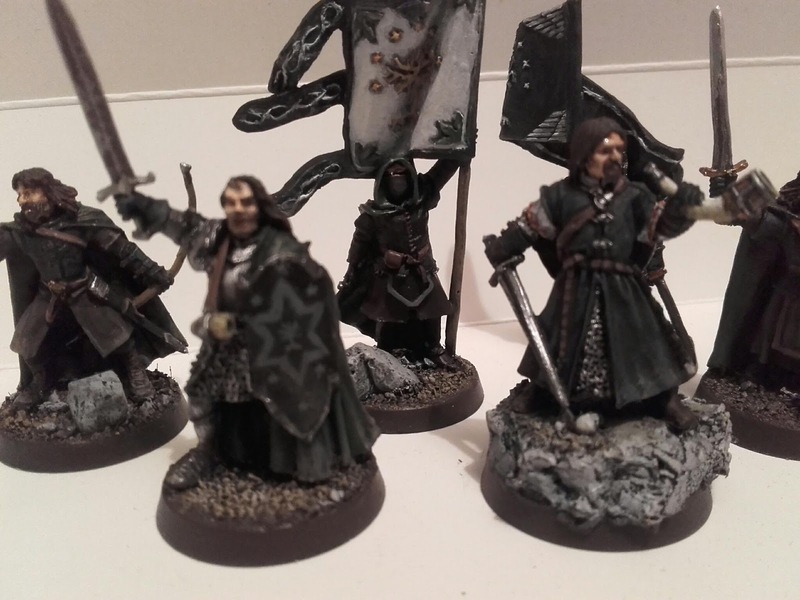 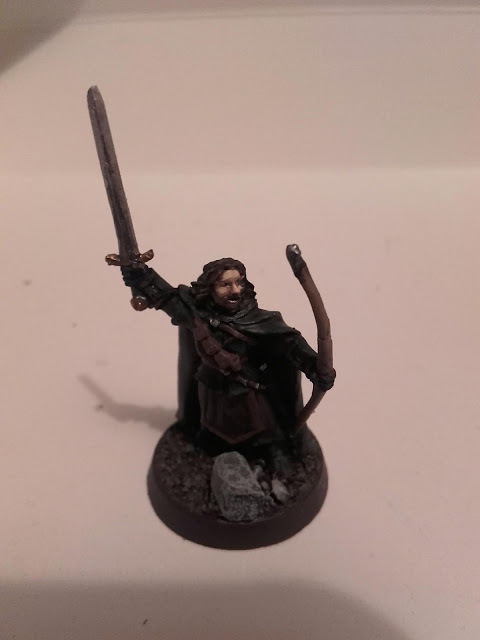 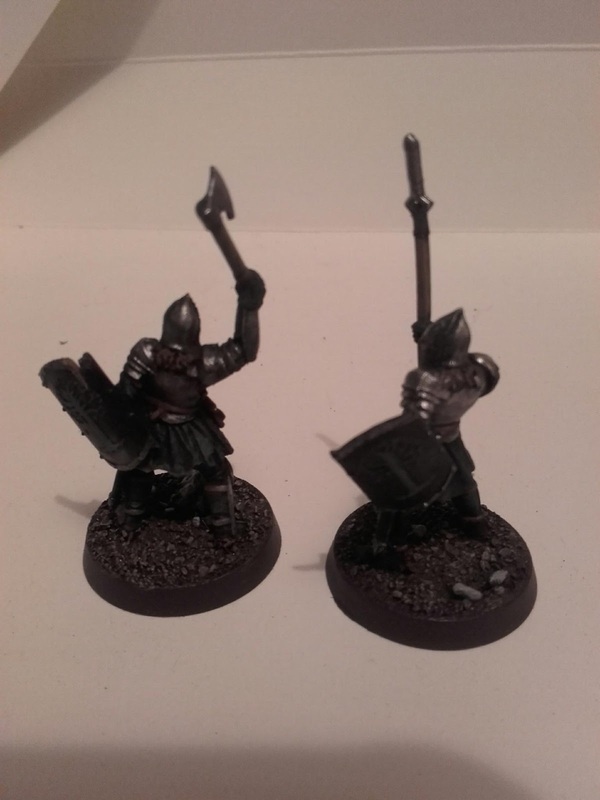 So far so good, i enjoy painting heroes even though im not a fantastic painter... hopefully il be taking these and the rest of the osgiliath Army to NatCon for the Hobbit sbg comp. Im really stoked with how my Marshall of the Tower of Stars turned out (erkenbrand stats, Imrahil model). 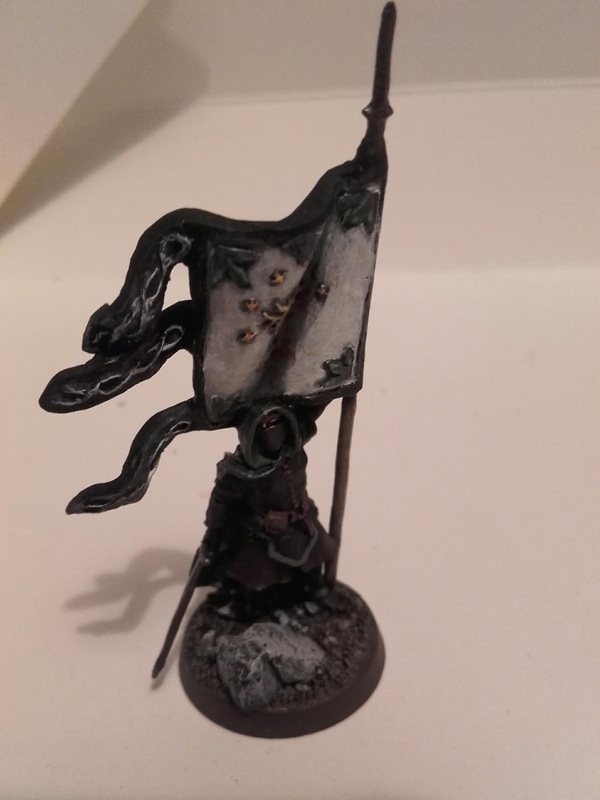 Ul notice im not going all out on the white... especially on the tree emblems on the shields, in the movies they just dont have the contrast GW did... so im going more for a grimy battle hardened look. Only converting i did on the heroes was the horn on Imrahil and chain mail under Boromirs Robe. 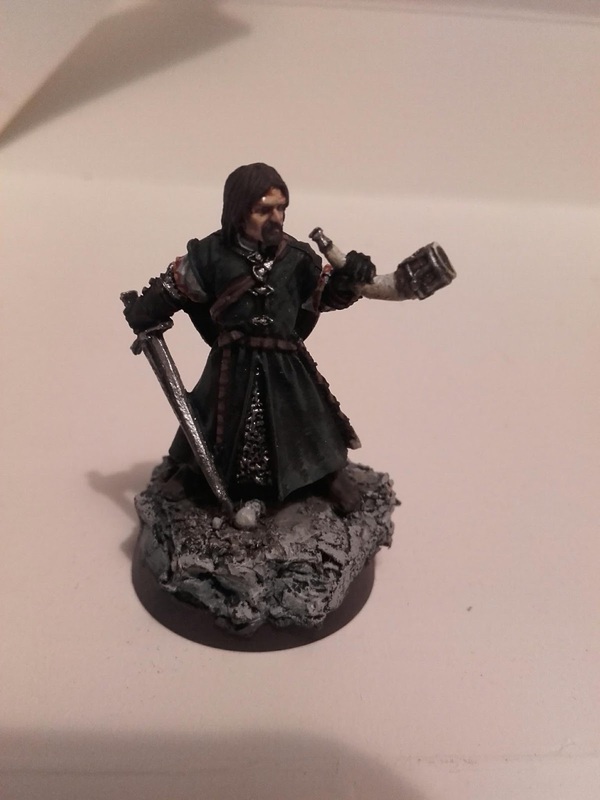 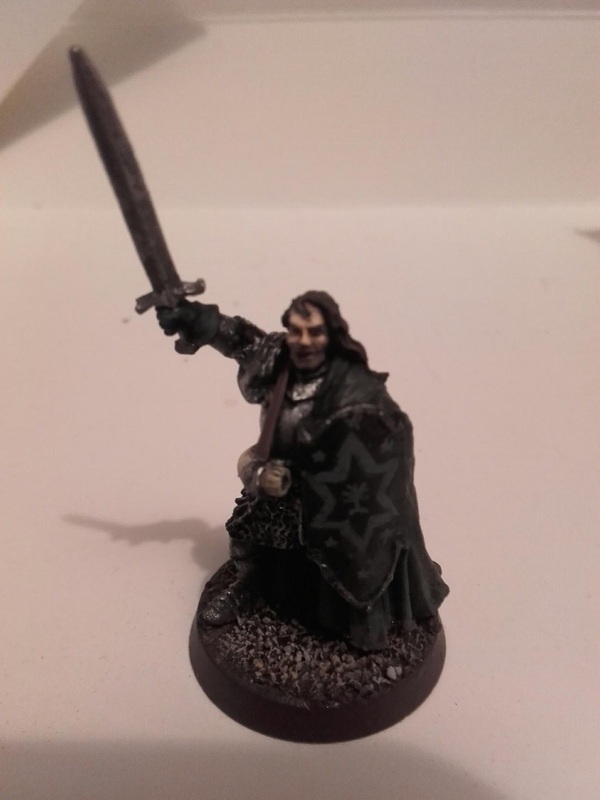 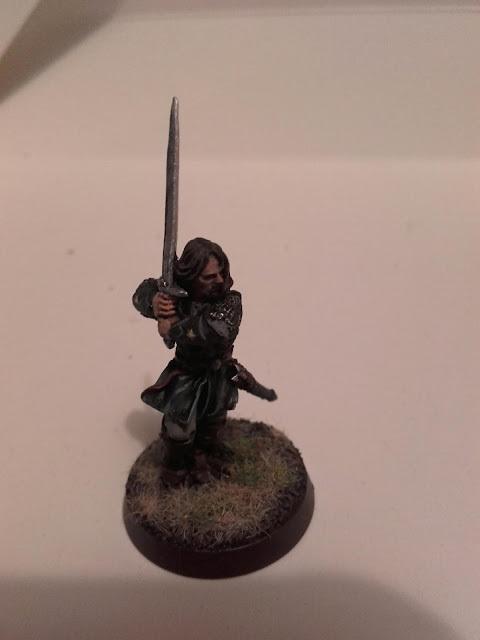 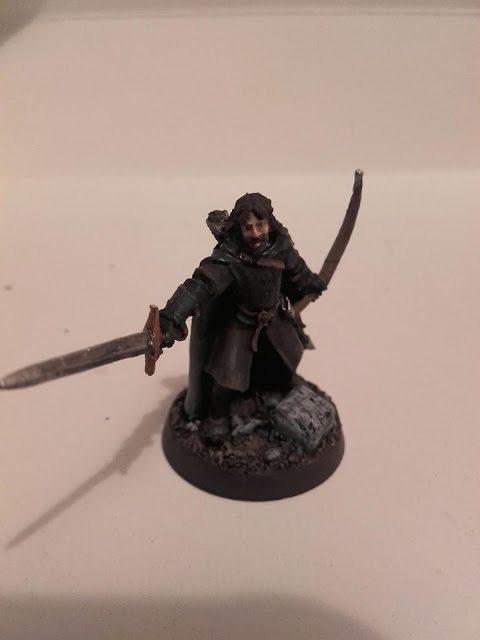 I threw in a pic of Aragorn/Thorongil while in service with Gondor, its the helms deep model but it fits the theme nicely. 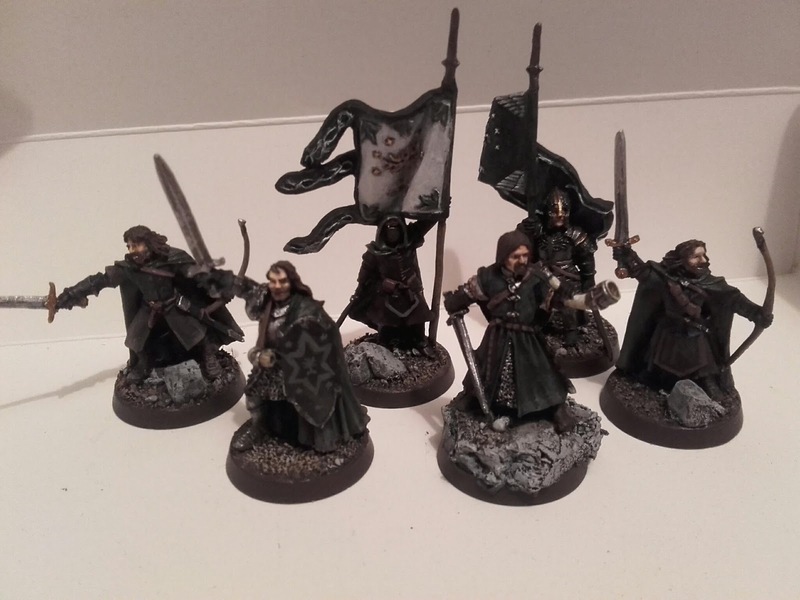 Eventually il have a small WotR force of gondor (i have the models) but theres a long road ahead of painting work.